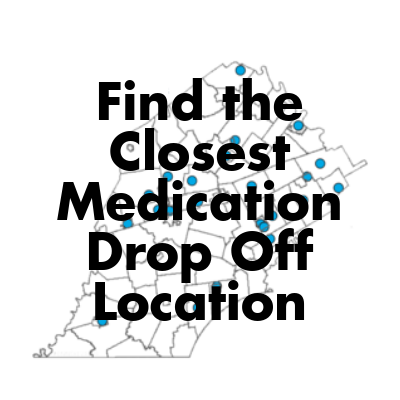 Permanent medication collection boxes are available at several Chester County locations. These boxes allow you to safely and anonymously get rid of unwanted and expired prescription and over-the-counter drugs. In both 2017 and 2018, over 10,000 pounds of excess medications were collected in Chester County. That is 10,000 pounds of drugs that did not fall into the wrong hands, including prescription pain killers. 75% of people who abuse prescription opioids get them from friends or relatives. Environmental Protection Agency studies have detected prescription drugs in our water supply.